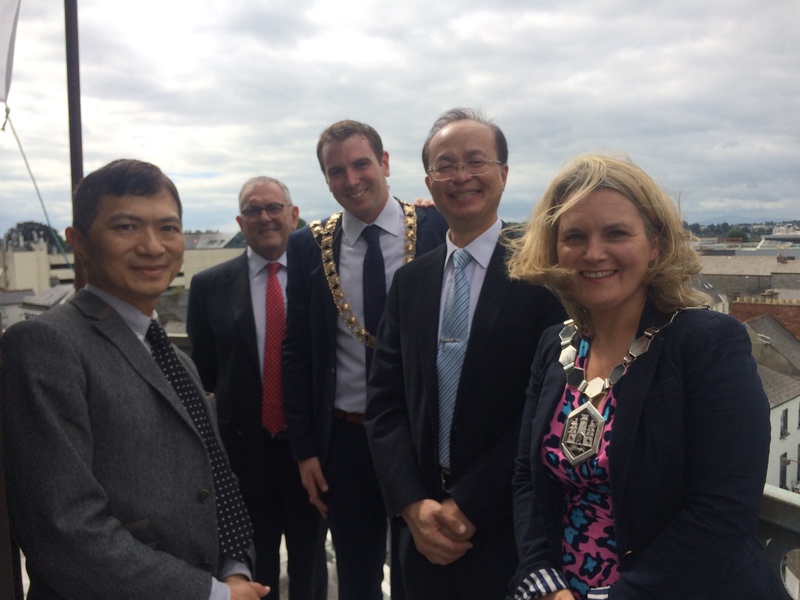 Deirdre Shine President of Kilkenny Chamber and Marion Acreman,Vice President were delighted to meet the Taiwanese Ambassador Mr. Simon S.K. Tu last week for discussions about establishing economic and cultural links with Taiwan. 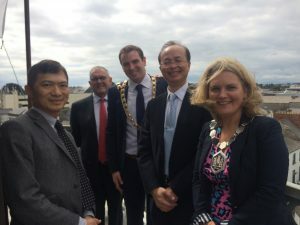 Ambassador Tu visited Kilkenny on Friday on the invitation of Deputy John McGuinness who chairs the Ireland-Taiwan Parliamentary Friendship Society. Ambassador Tu said ‘”Kilkenny is one of the finest cities in Ireland, full of medieval heritage, beautiful historical buildings and a bustling business community”. The visit included stops at some of the city’s top tourist attractions including Kilkenny Castle, City Hall, Rothe House, Kilkenny Design Centre and the Smithwick’s Experience. Ambassador Tu spoke passionately of the many opportunities for increased trade between Ireland and Taiwan and said he plans to return to Kilkenny to speak with representatives of our local business community through Kilkenny Chamber.